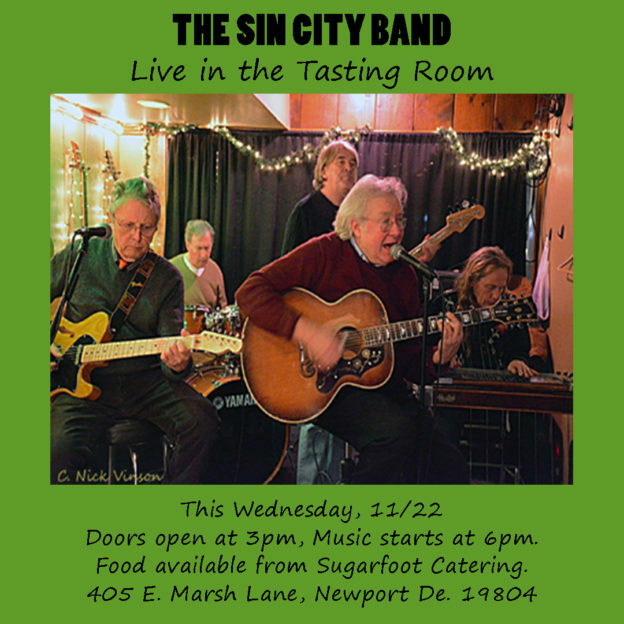 Wednesday 11/22 the band Sin City will be playing live our tasting room in Newport, Delaware! We will be opening one hour early, at 3pm, and will have food available as well as some great beer on tap. Make sure you tell your boss you need to leave an hour early so you can get down here and celebrate with us as soon as possible! 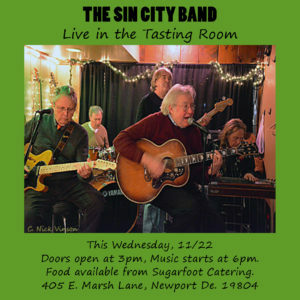 This entry was posted in Tasting Room Event on November 22, 2017 by Edward Poore.